Create Embellish Adore: HAPPY SPRING!!!! I know its been acting like spring weather wise since the beginning of March, at least here it has. So when you think Spring, you think....? Ahhh yes, and the lovely Daffodils that are springing up everywhere! I love the simple and clean looks this has. I used the 2 3/4 circle for the front of the card, and then stamped my image on another piece and popped it behind the opening. I colored the Simply Soft with markers. 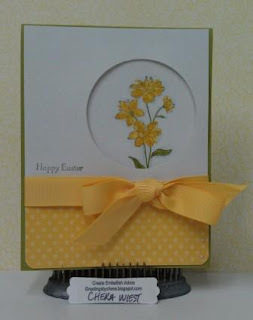 I used the Daffodil DSP to layer over the bottom and added Ribbon. Adding the pearls to the card added some nice but they seem to get lost in the designer paper. 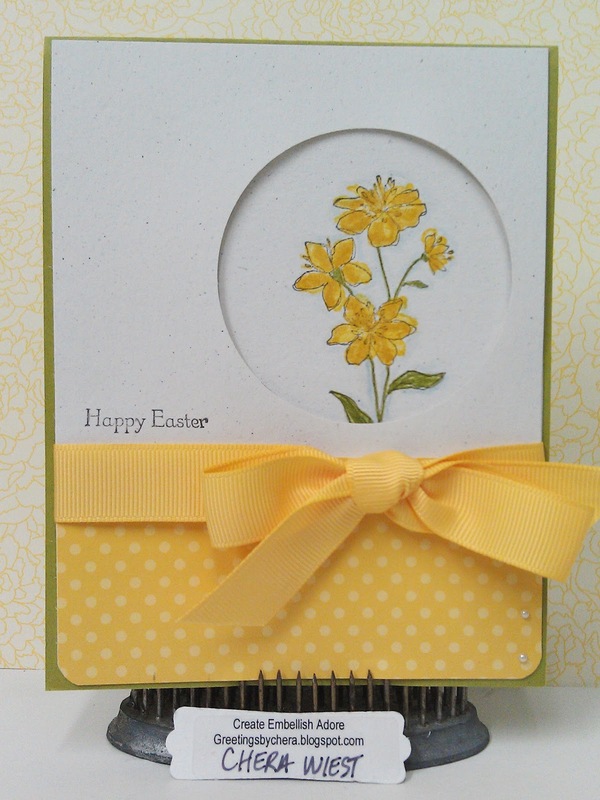 very pretty card, love the bow, so perfect.